Twenty years ago, 20 chefs headed to the Berkeley at the behest of Peter Gordon, the New Zealander best known at the time for his Sugar Club restaurants. 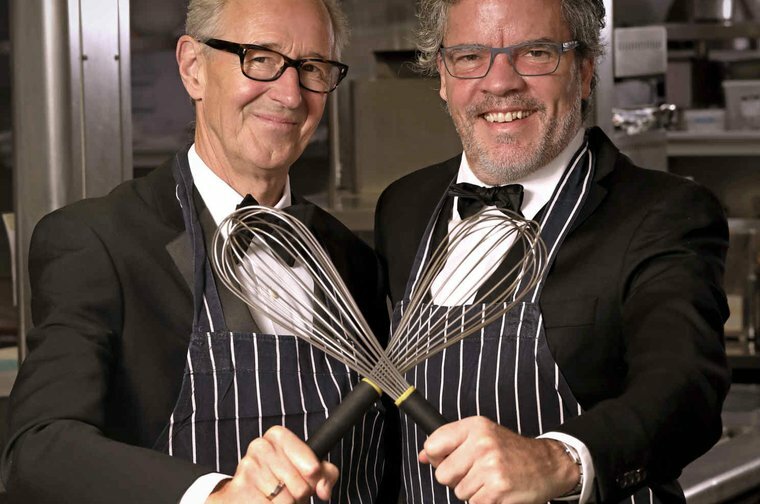 Gordon had, along with Chris Corbin – by then, almost two decades into his partnership with Jeremy King, and some distance from his days managing Langan’s booze-soaked brasserie – talked them into sharing the hotel’s kitchen for a fundraiser. With 20 tables of 10, each chef would cook for a decimette of diners; guests wouldn’t know whose food they were eating until the night itself. Afterwards, an auction; the money for Leuka, a leukaemia charity. Leukaemia – blood cancer – because: in 1995, Gordon’s sister was diagnosed with it, aged 33, and he became her donor. Because: in 1990, Corbin was diagnosed with it, aged 38, and went without a donor for four years. Because: 27 people a day are diagnosed with it, of all ages, and half die within five years. “The first night, it was very crude, very fluidly put together,” says Corbin, warmly, “It was really ad hoc. Corbin doesn’t name names, but the list has more than a few high profile suspects on it. That year, 1999, the roll call was ridiculous; Ruth Rogers and Rose Gray from the River Cafe, Albert Roux, Eric Chavot, Phil Howard, Mark Hix. Jeremy Lee and Giorgio Locatelli. Bruce from Chez Bruce. Clarke from Clarke’s. It could have been Corbin himself, who was also cooking. “Some chefs still really didn’t understand it until it happened,” says Gordon. They called the night Who’s Cooking Dinner? and thought it a one off. But it raised some cash; quite a chunk of it, in fact, and then – well, it happened again, and the next year, and on, and on. The name stuck. The money has been pretty good, too. After 19 dinners, Who’s Cooking Dinner? has raised more than £7 million for Leuka, a UK charity which funds scientific and clinical research into leukaemia and other types of blood cancers. They would be. Corbin was close to the late – and worthy, here, of the cliched ‘and great’ – John Goldman, a pioneering and quite brilliant haematologist and oncologist. Goldman treated Corbin in the 90s at the Hammersmith hospital, and was a trailblazer of bone marrow transplants. He was also dedicated to doctoring, unusually so. Respected worldwide, it’s said his American peers would ring him at two in the morning and not think anything of it; “No one is certain when (or if) he ever slept,” said his one-time colleague Dr Robert Peter Gale, after Goldman’s death. One his patients was Cazin, and Goldman became the founding chairman of the charity, which has a scholarship named for him. 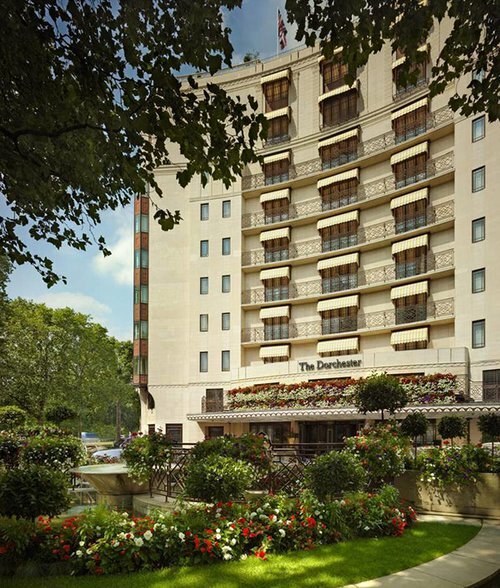 This year’s supper at the Dorchester hotel is set to be particularly special. Two decades on, the night’s power to draw star chefs shows no sign of waning. Mark Hix returns for his 18th time – well done that man – alongside Michelin-fuelled firepower: Tom Kerridge, Skye Gyngell, Angela Hartnett, Brett Graham, Phil Howard and Francesco Mazzei will all be cooking, as will Clare Smyth, undoubtedly London’s most in-demand chef. Besides Hix, other stars from the first night will be back, including Quo Vadis’ Jeremy Lee, and Giorgio Locatelli. The biggest draw, though, is likely Alain Ducasse, the world’s most successful restaurateur. Ducasse, once the youngest chef to win three Michelin stars and still the youngest to win six, does not cook often anymore; for him to be in whites is a treat. But perhaps it makes sense – after all, he will be in the surrounds of his eponymous restaurant. This year is also the biggest yet; there will be 25 chefs, cooking for 25 tables of ten. The Dorchester will be heaving. After supper is the auction. The prizes are suitably glamorous. One bid wins time cooking with the charming Ollie Dabbous in Mayfair’s HIDE, while the highlight will be what it always is; the chance to “take home a chef”. Not quite paying to pick them up, the triumphant bidder wins a chefs cooking privately for them, in their home. The 20th Who's Cooking Dinner? takes place at the Dorchester Hotel, March 4.
Credit: The Evening Standard website.